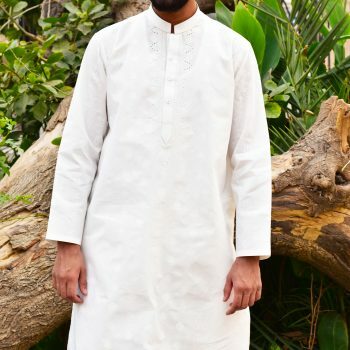 Pakistani wholesale textile sourcing agent of white color salwar kameez for the male. Get an amazing discount by meeting the MOQ criteria. 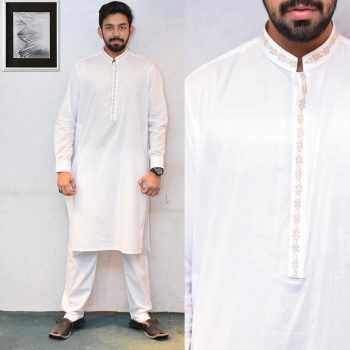 Basically, the article is all about men kurta in a different fabric which we use in both seasons like for summer and winter including Wash & Wear both for summer/winter & some tropical fabric like cotton/ wool/ khaddar/ silk. Faisalabad fabric store the one of the best reliable source to buy white color designer salwar kameez for male and white kurta pajama in cotton fabric, linen fabric, khaddar fabric, Karandi fabric for casual wear & in Jamawar & silk fabric for party wear. These salwar kameez dresses are available in stitch & unstitch form with light & thick embroidery work or self-printed designs. 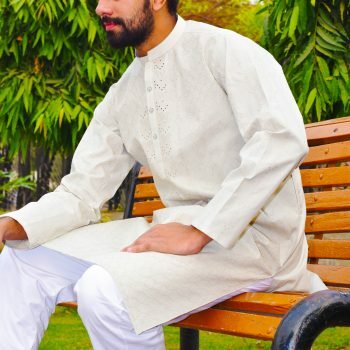 We have utilized the guaranteed high quality of fabric while manufacturing the White salwar kameez & kurta pajama for gents. Yes, we are not just the online wholesale & retail dealers we have a complete setup of manufacturing the best Pakistani salwar suit & kurta shalwar. And being the manufactures we have a lot of designing and fabric facilities for our customers and I repeat with the quality factor first in sense of color feeding guarantee, fabric, embroidery, prints stitching as well. While you are going to buy something for casual wear you always seek the good stuff with a low range of pricing and what if you get both fabric & pricing over the same platform. 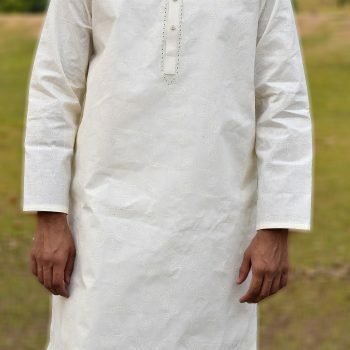 As I have mentioned that we are a manufacturer of these white salwar kameez & white kurta pajama the price factor is very reasonable and affordable by every person. Quality of stitching in all size particularly small/medium/large/Xl and even more plus size as per the size of the individual. In this online world, Faisalabad Fabric Store is the one that owns stitching units where you can get the white salwar kameez and white kurta pajama in stitched form under all sizes for men’s and kids plus with the customize styling. You can order your own choice of styling. 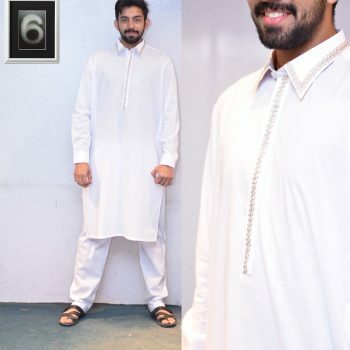 Contact to buy stitch & unstitch male white salwar kameez & kurta pajama.